The dog was out in this field following some kind of crazy animal tracks (badger? fox? coyote?) and they led us right into this creepy old industrial building. That metal pole was set at the exact height to totally brain you if you weren't being careful (this was shot using the flash). 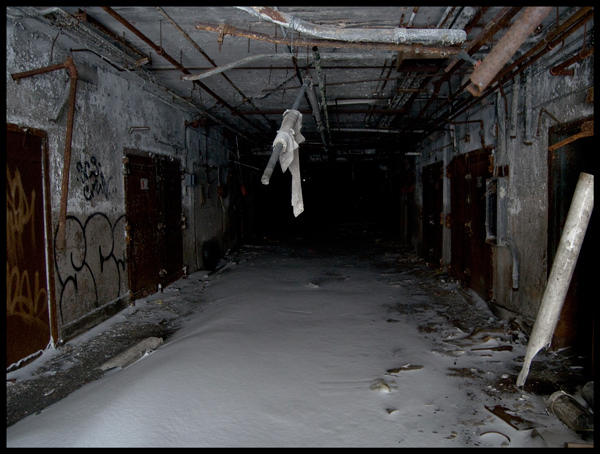 I half expected zombies to stagger out from those doors disappointed that there weren't fresh BRAINS steaming in the snow.